Since Greystat has taken over they have actively shown that they want to improve the property and our resident experience. Love the improvements to the gym! Nice place to live with good amenities and better location. Staff are generally friendly and respond to maintenance needs very quickly. Wide variety of apartments and good friendly people living here. They were very informative and nice during the tour and lease signing process. Very appreciative of that. Moving in was easy and they are super responsive! I love it here!! I just moved in from a RiNo location previously, and am so much happier here . The building, amenities and location are all great. Move-in was a breeze and getting things set up was simple. Feel instantly at home even after just 3 days. Office staff have been super helpful! Honestly I love living here! It has great amenities, including a fantastic pool area and two story gym. The apartments are spacious and updated. By far the best aspect is the location! The only down side is the rent is pretty high. The apartment is very nicely decorated and has new stainless steel appliances. The kitchen island is very useful for cooking and serving meals. Great apartment complex with state of the art amenities. The repair team is responsive and attentive. Very friendly front desk staff. Everything is well managed to the best of their ability. I wish there was a hot tub. So far, the experience has been great! Kylee has been great to work with and has even gone out of her way to fulfill several ad how requests ie filling out fee sheets, getting measurements of a floor plan etc. we are excited to move into the complex and be apart of this community! Enjoy living in these apartments. The amenities, the pool, and the quality of the apartment really separates this complex from all of the rest. The building and staff are great! This is the perfect place for a newcomer to denver. The location of 2785 speer cannot be beat, with bars and restaurants a close five minute walk away. I enjoy living at Speer. Great staff. I love how fast maintenance takes care of problems. The facility definitely has a lot to offer. The gym is great. One thing that could be better is the overall cleanliness. For instance, the coffee machine in building b, the doggy grooming station is always dirty and hairy, or the entrance to building b on Alcott street (Capet and stairs). Personally I’d rather have less patrol security, but a cleaner building. Great apartment, great people! Decided to live here because it is a great location to commute to Boulder for work. Once I started living here, I realized how great everything else about the community is! Living at 2785 Speer has been a great experience! The building and amenities are beautiful and clean. The entire staff is very helpful and kind! 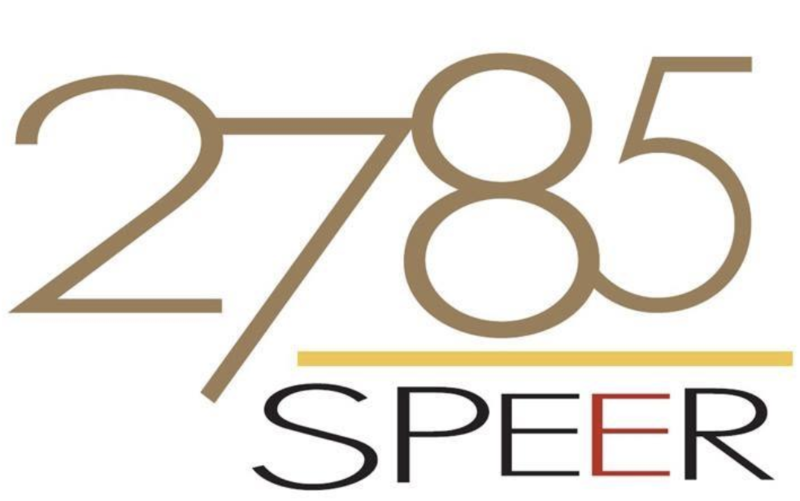 I highly recommend 2785 Speer. The building is well maintained. The air conditioning unit next to mine keeps me up at night. The stairwells are pretty dirty. Can you have the cleaning crew attend to them as well? Other than those 2 things, I have no complaints. HAs been a great experience. The staff is very helpful and nice. The amenities are always in good running order and clean. Location is great. No real issues with my unit. So far, my experience has been great. Having just moved in from the Englewood area, the neighborhood couldn't be better. The staff has been nothing but friendly and helpful. Loving it so far! So far everything has gone well. Good location with a nice and quiet building. Had a few issues upon move-in, but they were dealt with quickly so we weren't waiting around for anything. Overall a great community. Have been prompt to respond to all my service requests, friendly and communicative staff, resident programming. The only complaint I have is with noise. Apartments are so close to hear that dog barks, music etc Carry over to my unit. I love the amenities and location. My neighbors seem to be mostly around my age. The finishes within the apartment are beautiful and of good quality. The ceilings are tall, and the walls are sturdy enough that there isn't much noise from surrounding apartments. It's a beautiful community! Speer is such a great place to be at. The staff are welcoming, the community is clean and convenient to so many things in and around downtown Denver. I would recommend Speer to anyone! Love living at 2785 Speer! The location and the amenities are amazing! The leasing team made the whole experience easy and very knowledgeable. I would share with friends to live here too!